There was some concern the Parade through town wouldn’t happen this year, but once more the spirited local community and a dedicated team of loyal volunteers all pulled together to ensure this event could take place. 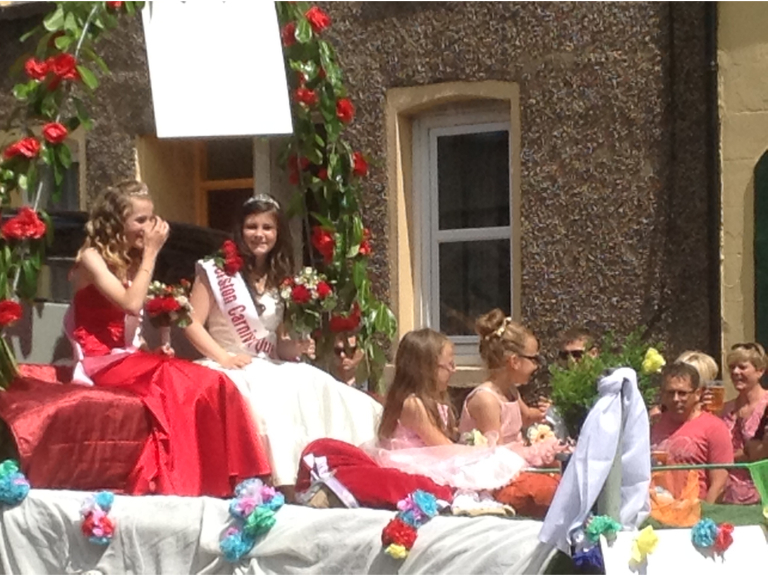 This years’ Carnival has a VE Day theme, and the parade starts as usual at 13.00pm. Once more the streets of Ulverston will be full of music, colour, dancing and laughter as floats, dance troupes, drumming bands and performers snake their way through the town entertaining the crowds before arriving at Ford Park. At Ford Park there’ll be fairground rides, bouncy castles and gift stalls. Hot and cold food stands will be serving a variety of tasty treats to keep you going, and of course it wouldn’t be Carnival (or Summer for that matter) without an ice-cream or two. An armoured personell carrier will be on the park too, and for a donation to St. Mary’s Hospice, you can have your picture taken on it! The original Carnival Parade was inaugurated in 1900 as the ULVERSTON HOSPITAL PARADE and was established to raise funds for Ulverston Cottage Hospital, which once stood on Newton Street. This year things are going back to the same principle, and from this year onwards all money collected on Carnival day will be donated to St Mary’s Hospice. So; if you’re after a day of fun, laughter, dancing, great music and entertainment, then Ulverston’s the place to be this Saturday. One of the most anticipated events of the Summer takes place this weekend in Ulverston.